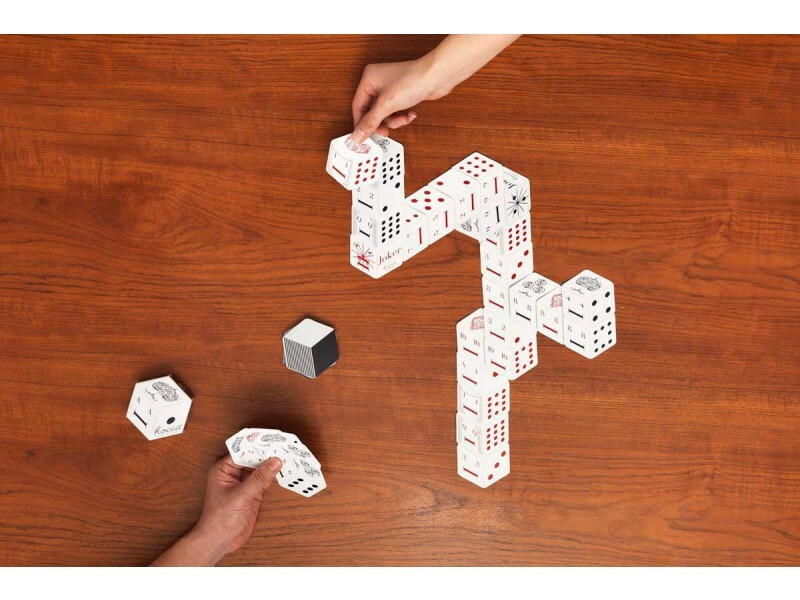 A creative twist to the traditional playing cards, Rocca cards are designed to look three-dimensional! Created by a game designer and a graphic designer, the games were inspired by a meeting with legendary board games designer Alex Randolph. The name Rocca is derived from the Japanese word "ROKKAKU", which means hexagon. Each card looks like a cube and by lapping over a side of the card, it will be like 3D blocks that are as if piled up cubes. 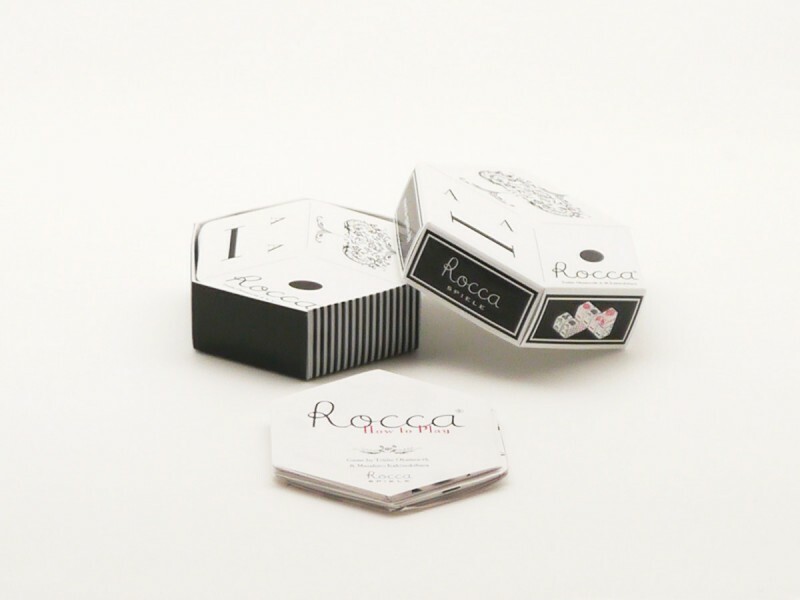 Rocca cards are the same as ordinary playing cards, with 14 spades, hearts, diamonds, clubs and 4 jokers, so you can play Poker, Sevens or other traditional card games, or use the 3-zone graphical face and the back as two-dimensional building blocks to make geometric patterns on a flat surface. Every time you play the game, you would find new patterns with your affluent imagination! You can construct impossible-­to-­make building such as M.C. Escher created. Suitable for 2 or more players over 7 years of age. Awarded Good Design Award in 2012. 60 hexagonal cards with separate English instructions. * You can also download the intructions from this link. Size: L 8 x W 7 x H 2.6 cm.